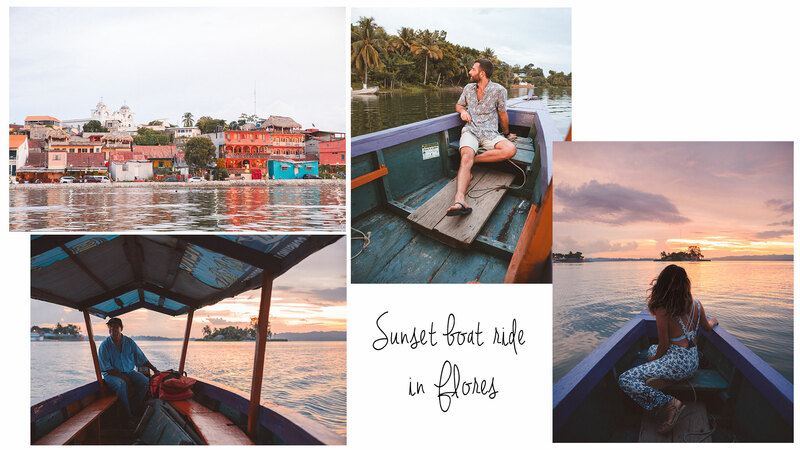 We stayed in Flores for a night and did a day tour to Yaxhá. Only payed for the trip there as we didn’t want a guide. Cost was Q60.00 just for transport, most of the hotels should be able to book transport for you. 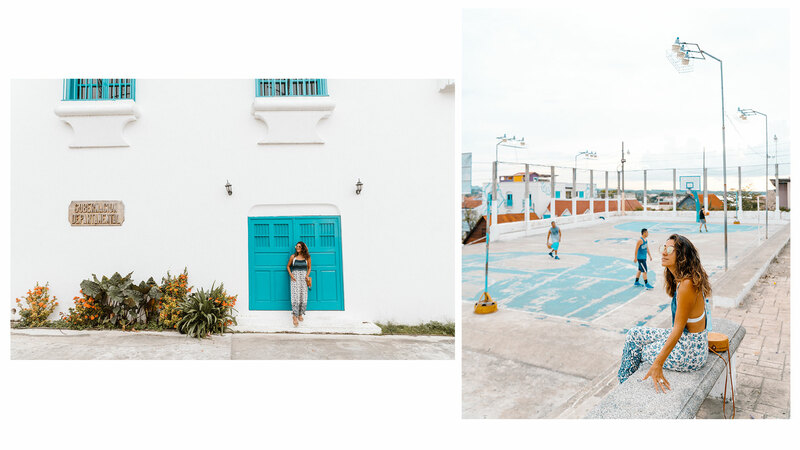 Side note: Most of the photos were taken with Sony α7R II and edited with Lightroom and Photoshop to create the banners. When we got to Yaxhá all we knew was that we need to be at Temple 216 by sunset time. We found a few friendly park guards who told us the must see spots. Yaxhá makes it easy to imagine how this civilisation was like. No crowds to mess with your imagination. We were at the temple 216 before sunset and it seemed as there wasn’t going to be a sunset. The tour guide informed us it was time to leave. We didn’t want to but we had heard some stories about this particular guide from the park guards. After going down all those stairs he noticed there was gonna be a sunset. He rushed everyone to this other temple, sunset was amazing but in all that rush we had no time for photos. 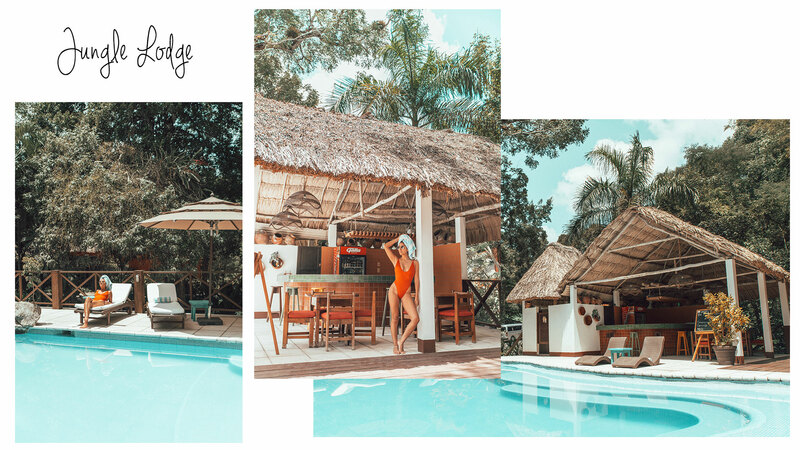 We went back to our hotel Casona de la Isla, who had kindly let us checked in early, this hotel was really the cutest, we later found out that it had been recently renovated. They have the best included breakfast of all the hotels we stayed at. Highly recommend their Coconut French toast! Staff here were great and so accommodating to our requests. 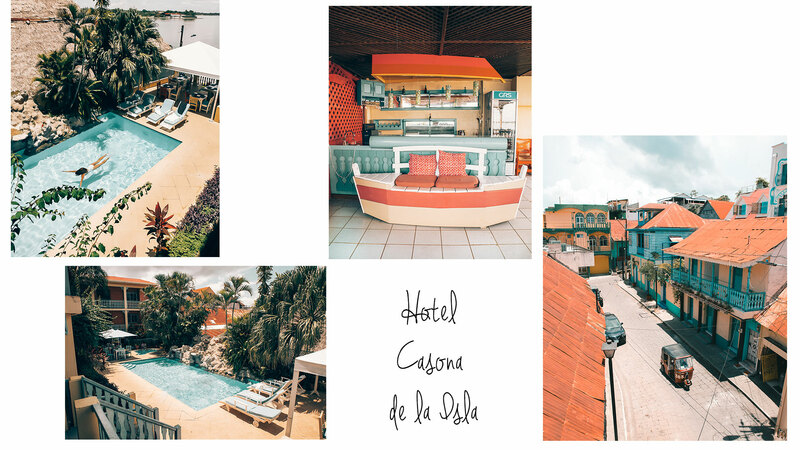 Travel tip: If you book the Casona de la Isla request for a room on the higher floors. Transport to Tikal was booked by the reception at Casona de la Isla, cost was Q50 each. 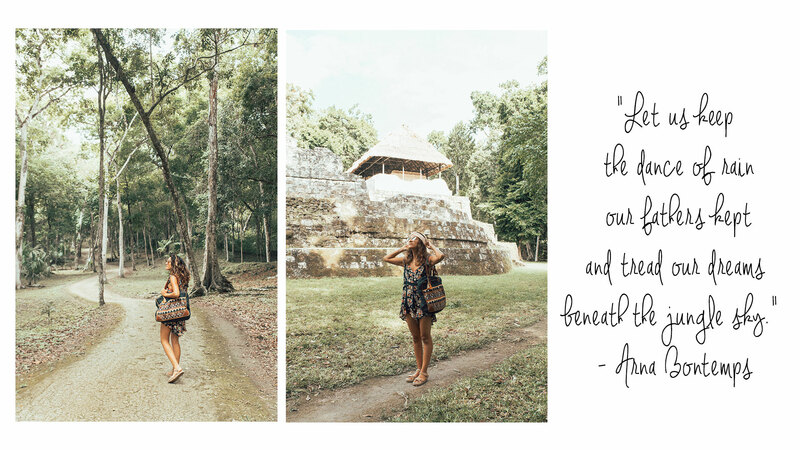 We stayed in Tikal for 2 nights for the “real” Jungle experience. 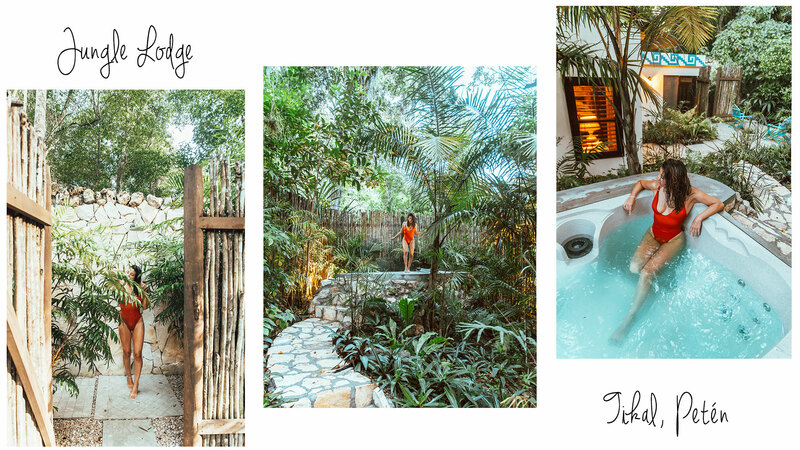 Jungle Lodge was a lil Oasis in the middle of the Jungle. 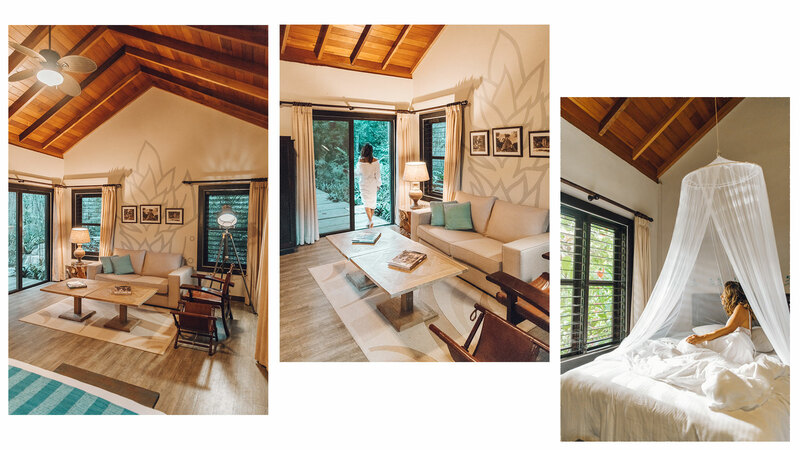 The room at Jungle Lodge in Tikal was so beautiful. Ammenities included a jacuzzi, bath, lounge area, outdoor shower (my personal fav) and a really comfy bed. Travel tip: If you are staying in a hotel in Tikal there are other options for food, just outside the park. Prepare for no reception or proper wi-fi unless you are at the top of one of the temples. After enjoying our first night at the hotel we booked a sunrise tour for Q100 each from Emanuel who’s name and number I got from the lady that was working at the entrance of the park. We met this really nice dutch couple earlier and we asked them if they wanted to join us in our tour, this is before I found out Emanuel was only a Spanish guide. I’ve messaged the couple when I found out and they had no issue with me translating bits and pieces for them and luckily they still wanted to tag alone. Travel tip: Don’t feel rushed to book a guide unless you are doing the sunrise tour, otherwise there is a stand just in front of the park where you can easily book a guide. Sunrise was a no show but the experience of going through the park and all the sudden flashing your light and seeing a temple was quite fun! ( not the 4am rise) We got back to Jungle Lodge and chilled by the pool for a few hours before heading back to the park in the afternoon. Sadly we accidentally formatted the photos for this day and these are the only ones we had exported. 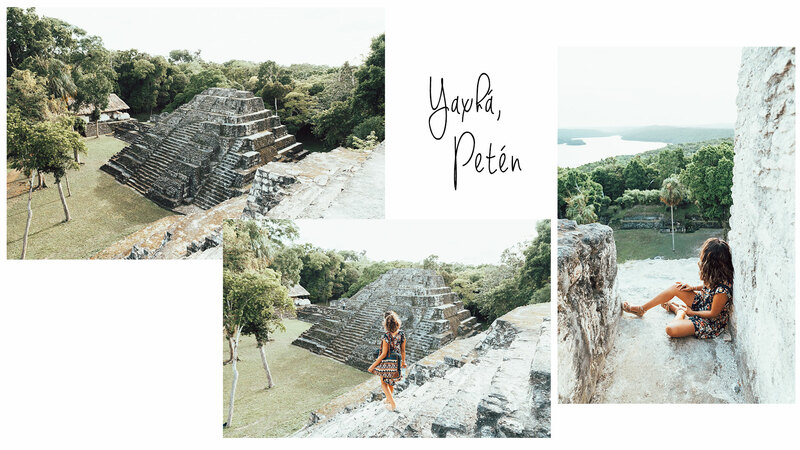 I had not been to Tikal since I was a teenager and I can tell you how much I loved exploring this magnificent site. 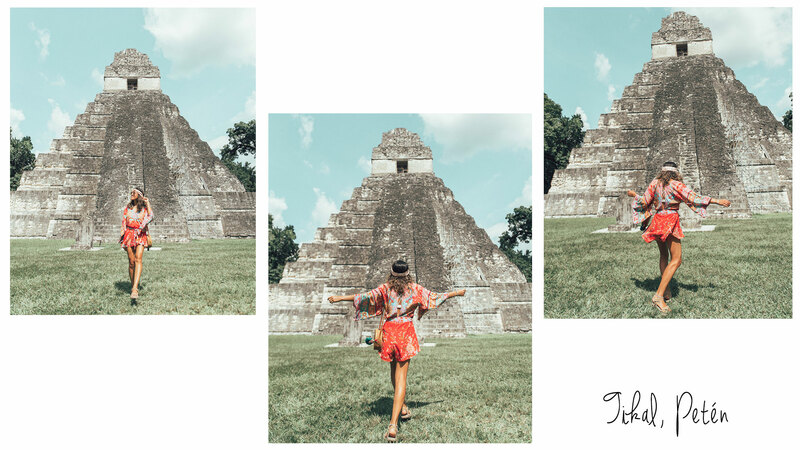 After 2 days in Tikal it was time to keep exploring. Next stop was El Remate. I’m not an organised person, but for once I had booked the return to Flores the day before. One of the cheeky tour guides said he would take us for “free” since we couldn’t get a refund. This was the same guide I had booked our transport the day before. Anyway we went with him and for a few more quetzales he took us straight to El Remate. We had little time to decide where to stay but we were quite happy with our choice, we usually wouldn’t go for a big chain hotel but this was pleasant surprise (except for the food prices!) they had free kayaks to explore and swim the 24 degree emerald lake of Petén Itza and a free shuttle back to the airport. After 2 days here it was time to catch our flight back to Guate. The shuttle took us to Flores since we had a night flight. We spent the day exploring this lil town. After a small sunset boat tour we headed back to the airport. Most of the photos were taken with Sony α7R II and edited with Lightroom and Photoshop to create the banners. These places look so beautiful! Your blog is crazy beautiful. I can’t get over the quality of pictures and I have serious font jealousy. Not to mention, now I want to go to Guatemala. Ohh Kelly you are too kind! So happy that I get to put Guatemala on your list ✨? I love this post! 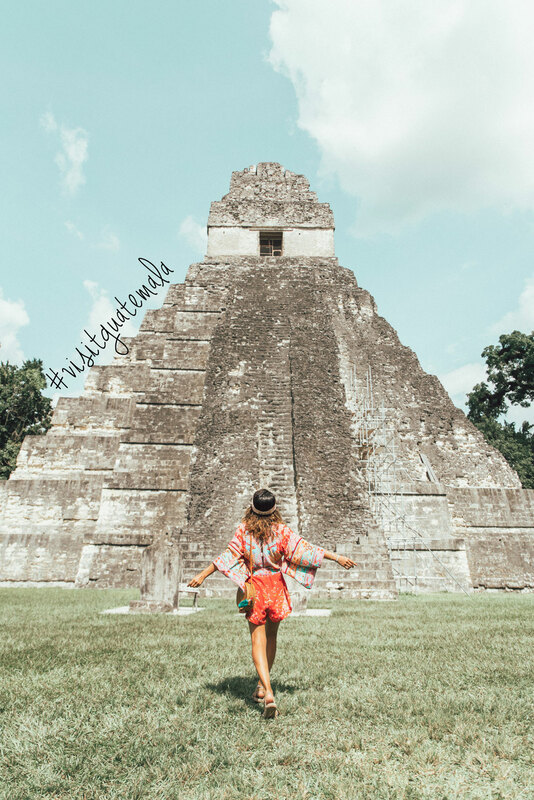 I’m already planning my 2018 travels and Guatemala is on my list. Very timely! Thank you! It looks beautiful! So much exploring sound like you guys had fun. Definitely needto visit! I hope yo do one day. Guatemala is so beautiful! Wow! What an amazing looking trip. It’s so beautiful and green there! I’ve been there too! Beautiful pictures! Your blog is so beautiful and the pictures are gorgeous ! Very wow ! 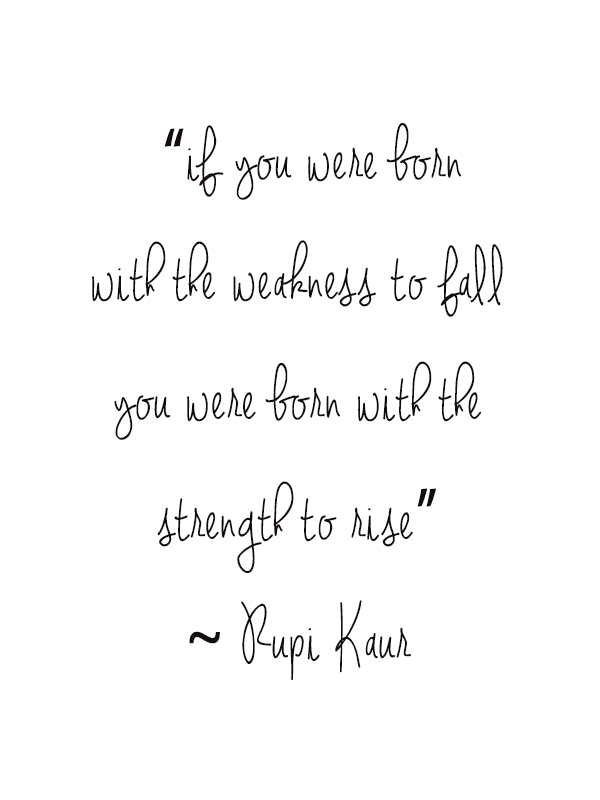 Keep up the good work and keep believing in yourself ! OMG! Who knew Guatemala was this beautiful! Amazing photos! Thanks so much,so glad you like it! Guatemala sounds interesting. Especially Tikal. Lovely photographs. Looks like a gorgeous place to stay! I’m in Mexico at the moment and so tempted to pop down to Guatemala! These photos are amazing!!! Such a beautiful place! Thanks for sharing!!! Sharing this on Pinterest!! !